Performers include: Clark Gregg, Ming-Na Wen, Brett Dalton, Chloe Bennet, Iain De Caestecker, and Elizabeth Henstridge. In this action series, it seems that Agent Phil Coulson (Clark Gregg) has returned from the dead (Gregg reprises his role from the Marvel movies). He assembles a small specialized team of of Agents from the worldwide law-enforcement organization known as S.H.I.E.L.D. (Strategic Homeland Intervention, Enforcement and Logistics Division). Coulson believes that a small team of regular people, when working together, can make just as much of a difference as those with super powers. Together they investigate the new, the strange, and the unknown across the globe, protecting the ordinary from the extraordinary. Agent Grant Ward (Brett Dalton) is highly trained in combat and espionage but sometimes fails at getting along with his coworkers. Fiercely loyal to the agency, he’s a man of few words who’s always cool under fire and ready for action. Agent Melinda May (Ming-Na Wen) is an expert pilot and martial artist. Her talents are legendary in the organization but for some reason has resigned herself to a quiet desk job. A genius engineer, Agent Leo Fitz (Iain De Caestecker) is socially awkward but is always in tune with his research partner and friend — a brilliant bio-chemist named Jemma Simmons (Elizabeth Henstridge). They’re inseparable and often bicker with one another and neither have any field experience. A new recruit, Skye (Chloe Bennet) is a hacker with a vast knowledge of computer coding. Unlike the others who work for S.H.I.E.L.D., her background remains a mystery. What do you think? Do you like the Marvel’s Agents of SHIELD TV series? Do you think it should be cancelled or renewed for another season? 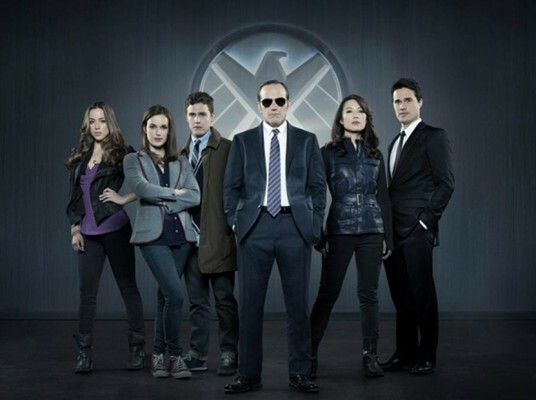 Marvel’s Agents of SHIELD: Worth All the Hype? Agents of Shield should’ve continued with the tie in episodes and season 6 should have all 22 episodes in my opinion, watching season 5 on Netflix and so far it’s been pretty good I love it!! !